Ultimate security. Guarantee of confidentiality. 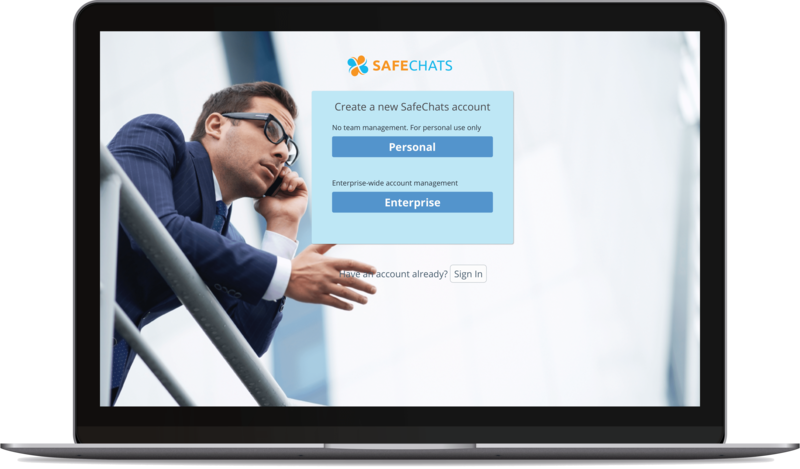 Easy to install, SafeChats provides a military-grade protection of text messages, file transfers and voice calls. Password-protected access to the app. Ability to hide sent and received messages and files. Ability to delete sent messages from the receiver’s device. Self-destructing messages and history retention control. Additional user identity verification process ensures your message is received by intended recipients only. 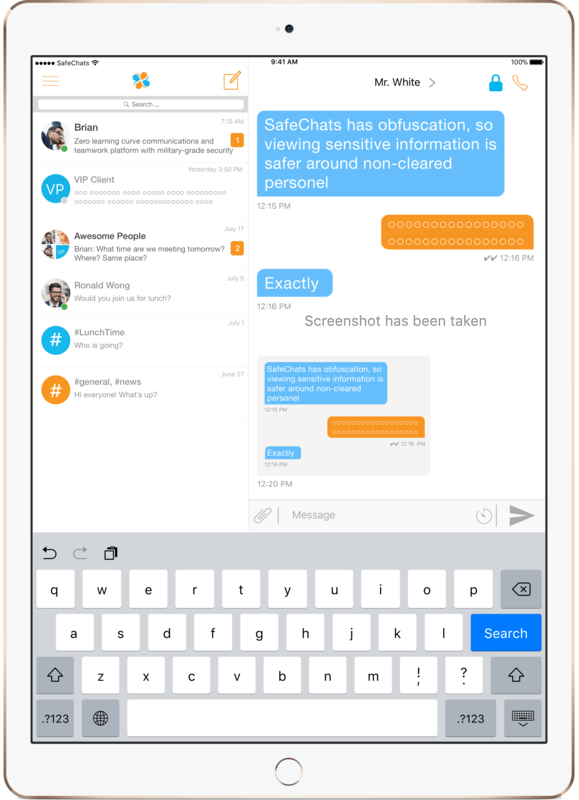 End-to-end encryption safely protects messages, files in transit, as well as calls, and guarantees access to data exclusively to intended recipients. Ability to launch the product under your own brand. Integration with existing company’s software infrastructure. Isolated server infrastructure under your control and governance. Centralized user and account management.